Granite City Gearheads » Blog Archive » Party! Posted by Nathan Block On May 31, 2017 Comments Off on Party! 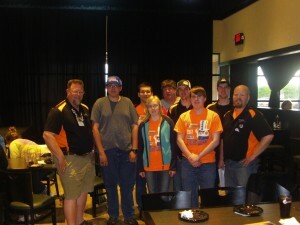 Last week we held our end of the competition season party at the House Of Pizza in Sartell. 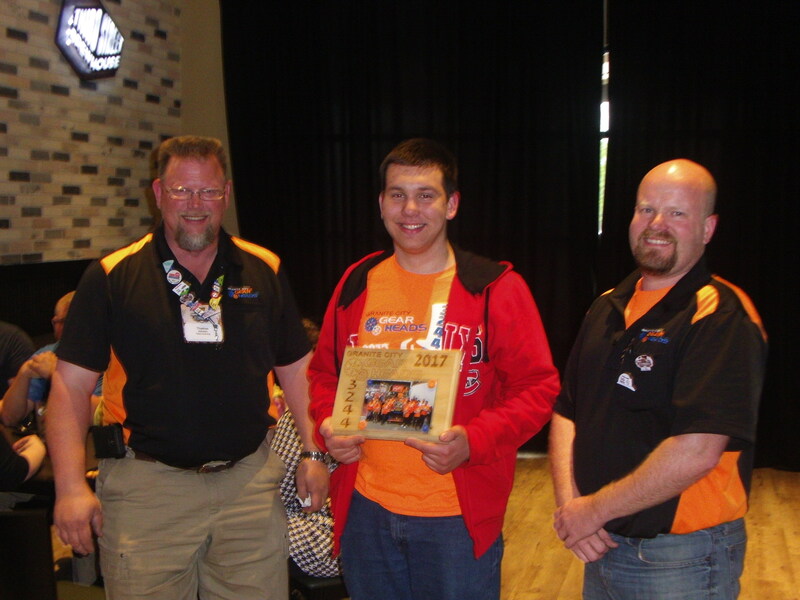 We celebrated and awarded our members who lettered, and the one graduating senior, Nathan Block. 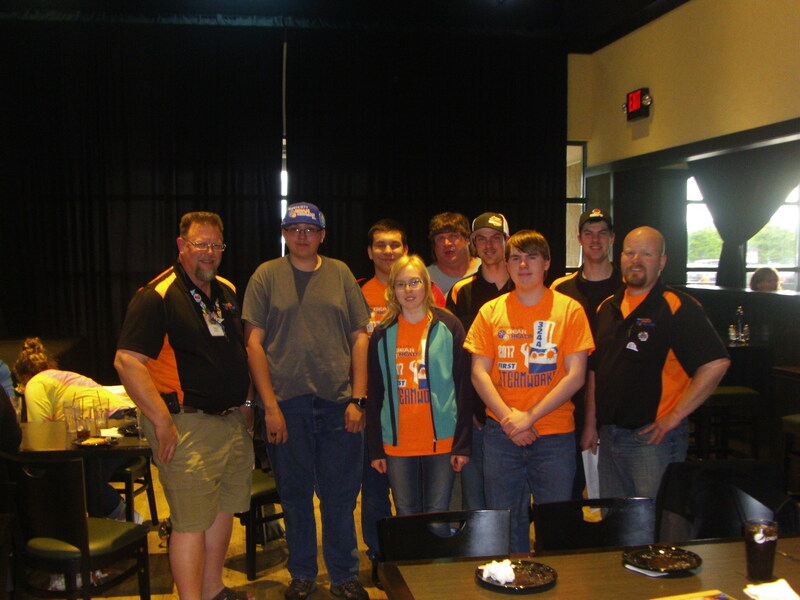 Although we celebrated the end of competition, we still are going to attend Duluth's Gitchi Gummi Get Togeather Competition, the East Metro Collaborative Competition, the Minnesota Robotics Invitational, and maybe the Mini-Minne Competition. We will provide more details for each of these as it gets closer to the time of the competitions. If anyone has an enclosed trailer that they would be willing to loan the team for one of these events, please contact us. Recently we tasked our build team to improve Candybot and they did. They disassembled and remade Candybot with better Batteries and 'neater' wiring. We will be participating in 3 parades this year; Waite Park, St. Cloud, and St. Joseph, we would love for you to come out and see our float, and cheer us on! If you would like to help us out, we could really use donations of candy. It takes a great deal of candy to participate in a parade, so contributions would be very much appreciated. 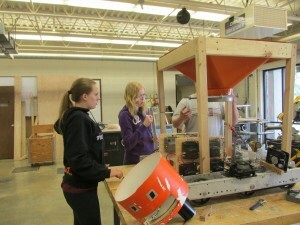 Candybot is running and nearly back together (this picture was taken before we finished for the night).